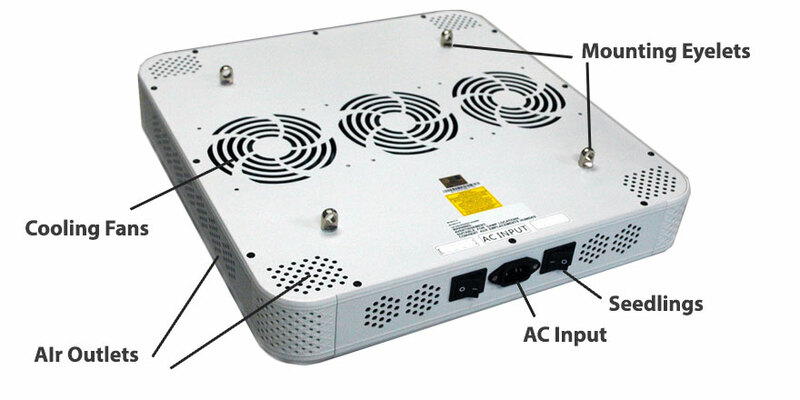 High powered 300W LED Grow light for indoor commercial facilities that utilize passive cooling. Spectrum optimized LEDs for maximum light efficiency. 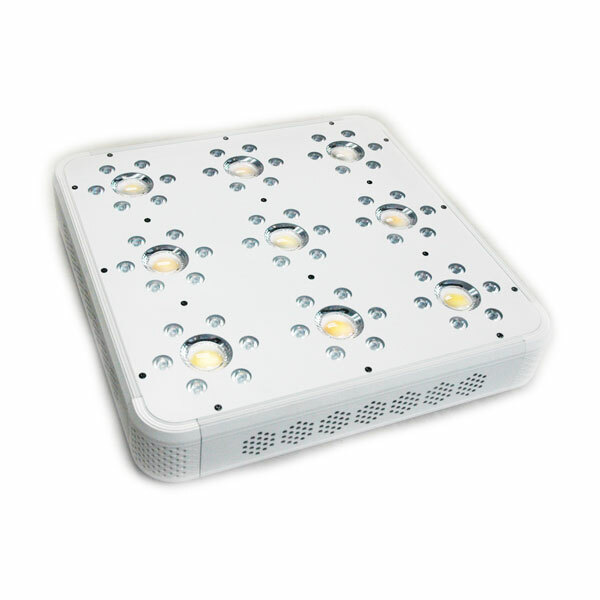 With 105° lens panel can light up large area for vegetables, fruit and medical cannabis. 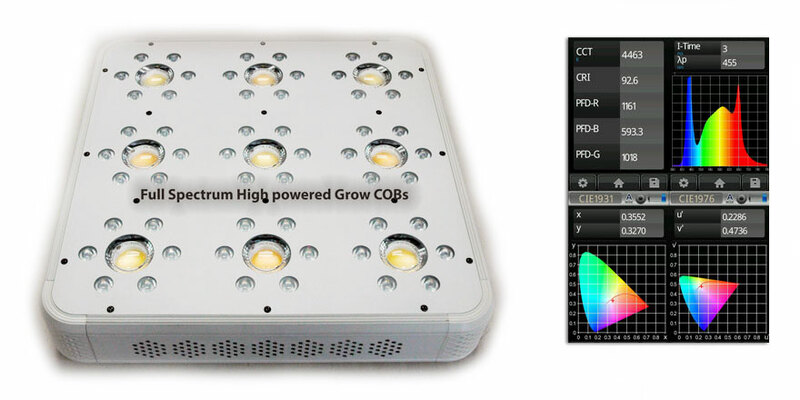 High Par PPFD / Umol output Grow COBs.